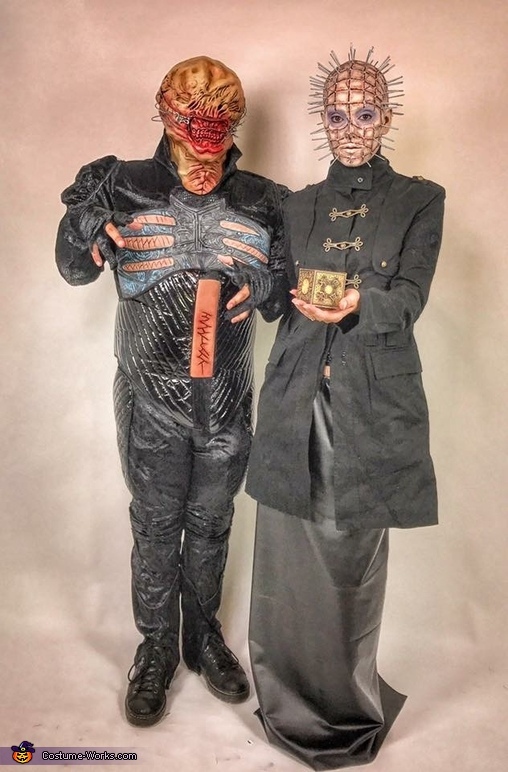 I wanted to be pinhead from HELLRAISER! I did a lot of research on how to make it happen. I did it all myself with my husband helping with behind my head I cut. Melted and painted qtips for my pins on my head. It was my first time working with latex and it turned into an allll day ordeal I even made my skirt and got my jacket at the thrift store.